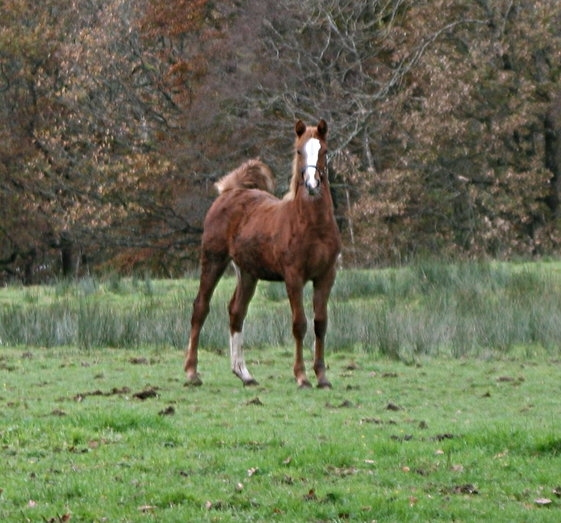 Filly foal, out of Dali Solstice (ID x Welsh) by Rustic Red (Oldenburg). A substantial, upstanding filly with a central blaze and one white sock, Dali Delilah is a real cracker. She has super conformation, beautiful floating action and athleticism, and a wonderful temperament. By the Oldenburg stallion, Rustic Red who boasts excellent breeding and is half brother to Red Alert, European Silver Medalist event pony, Delilah should make around 15.2hh+ and will be a versatile type, sure to do well in a host of disciplines including show jumping, dressage and eventing. Handled well and will be weaned in November. Dam can be seen at stud. An excellent home is required for this lovely filly. £950 ovno. Check out Delilah in action on the Dali Stud YouTube channel. *Delilah has now been SOLD to Shanita Maloney in Bristol. Best of luck to you! All content © Copyright Dali Stud 2019. All rights reserved.